For a Canadian wanted by the International Police (Intepol), offering a bribe to police to avoid being arrested, didn’t go over so well. 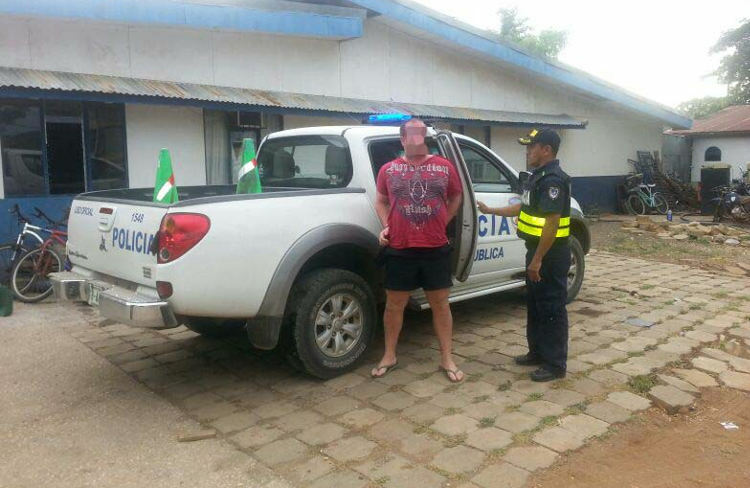 The man, identified by his last name Ghil, was captured officials of the Fuerza Pública in Playa Tamarindo, Guanacaste, earlier this week. After verifying his identity, police found he had an outstanding international warrant for his arrest issued by Interpol for racketeering. On detention, Ghil allegedly offered the arresting officers several thousand dollars to let him free, but police refused. Ghil was handed over to Interpol. However, one Spanish language online news source identifies the man of Ellys. Yet, another online news source in English says it has the ‘inside’ info and that the man is actually Edmond Michel. On the latter, a check of the Interpol and RCMP website, Michel is still a wanted man. In the past, with their detention, Interpol usually adds a note of the arrest. Nothing in the case of Michel. Nor were we able to find anything on the names Ghil and Ellys. One thing all seem to agree pn is that the captured man is Canadian. If you have any information on this, please use the comments section to clarify. Or you can send me an email.